Looking for custom cabinets to be built and installed in your home? 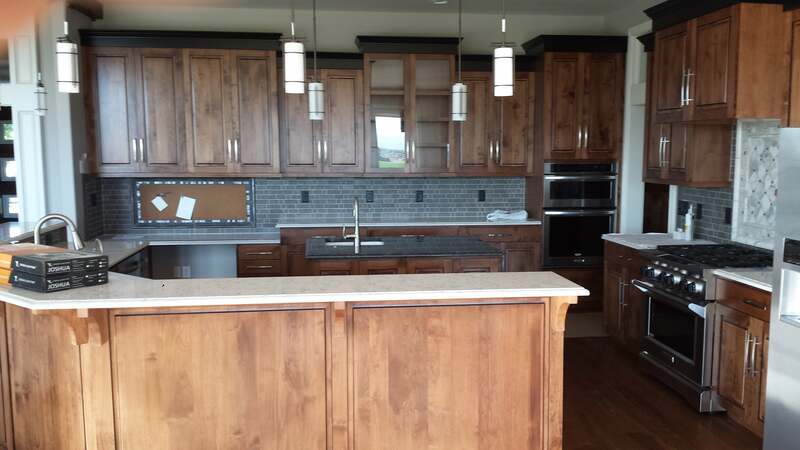 We design, build, and install custom cabinets all throughout the Treasure Valley. No job is too small or too large for us to take on. Pricing a custom cabinet order can be quite complex depending on the size of your space, the storage and decorative options you choose, as well as any speciality construction details you may desire. At Euro-Tech Cabinets, each job is bid individually after final designs are choosen and materials are selected. We never compromise on materials or construction techniques, and yet our prices are very competitive with home store box units. You can afford custom cabinetry! We welcome the opportunity to make your dreams become reality, and we appreciate that you’re considering Euro-Tech Cabinets for your project needs. We're a local cabinet shop, family owned and operated in Boise, Idaho for over 30 years. There's a reason we've been in business for over 30 years, and it's simply great customer service and very reasonable prices. Whether you're building a new house or just remodeling, we have the quality and experience you're looking for.